Google is currently testing a new digital wallet Bluetooth technology pilot app that does not require the user to take their Android smartphone out of their pocket or purse. Facial recognition is used to make an immediate hands-free payment. Cameras throughout the store track people’s movements and images. McDonald’s and Papa John’s are involved in the test. At last month’s AMOA State Council Meeting, several sessions were presented on the current digital wallet payment systems in operation in the vending industry and just getting started in the amusement industry. These include among others USA Technologies, Pay Range, Visa & Master Card, and Google Wallet. Disney just spent something like $31 Million developing a new wristband technology only to discover that cell phone technology had advanced so fast that they scrapped their project. That is the problem with introducing a new technology today that is independent of cell phone and huge companies like Google. AMOA has decided to take a ‘wait and see’ stance before it makes a recommendation to its members. I am currently investigating new payment and loyalty technologies (no hardware-all cloud based) that could impact debit card systems within the next 5 years. 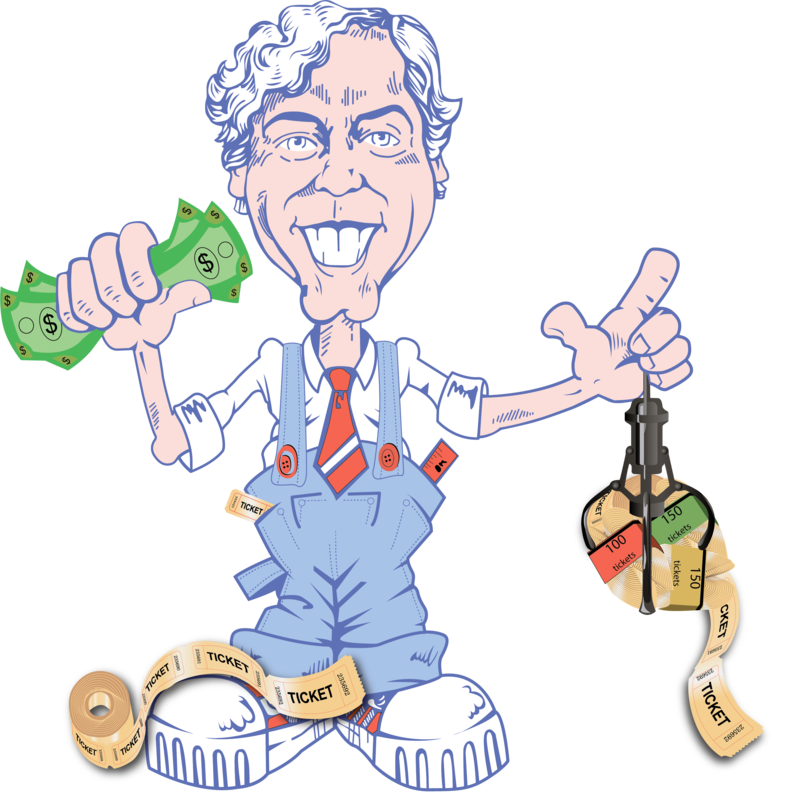 Just imagine a customer having a picture of an FEC’s debit card on their cell phone (complete with barcode) that has proximity technology. The customer can just put their cell phone near a game and the game would deduct the player’s special loyalty price, add in any bonus credits earned, unlock any special codes the player has earned, and in a nano-second the game would be ready to play. And a 3rd party will receive a percentage of every transaction. Of course the game would also have the capabilities of communicating with the player from that point in time forward and offer rewards for the player communicating with their family and friends. Social media will soon be a critical part of all of our lives, whether we like it or not. Competition is promoted among 2-5 people at one time. Repeat play (rematch) is a natural occurrence. The multi-player game is both an attraction and a revenue generator. Earnings are in the neighborhood of $2000/$5000/week. Small footprint for 5-player game—10 feet wide x 9’-5” tall. Purchase price is $50,000. That is an average of $10,000/player position. Only 10 amps required at 110 V.
A PICTURE IS WORTH A THOUSAND WORDS: Apple Industries founder and chief executive Allen Weisberg is pictured here with the Face Place Deluxe, the company’s signature photo booth. Designed to look like a giant camera, this model is Apple’s largest enclosed booth. Weisberg describes the photo booth as the “ultimate” vending machine: it furnishes a high-profit product from basic ingredients (paper) without any waste. Incremental upsell options continue to grow on the Face Place network. What is even more amazing is that revenues of several thousand dollars per week are being seen at high-trafficked venues such as malls, movie theaters, tourist destinations, sports arenas, theme parks, zoos, aquariums, retail stores, and restaurants. Apple has opened these opportunity doors for game operators and for that the entire industry applauds Apple Industries. Photo Studio Deluxe has a spectacular light show consisting of more than 5000 LED’s. There are currently 20+ video-guided interactive scenes, with future new ones able to be easily downloaded. Upsell opportunities contribute to a significant portion of the enhanced revenue pot of Face Place’s success in the merchandiser category. In fact, secondary purchases on Face Place account for at least 30% of the total weekly revenue. This includes options for the customer to purchase additional 4×6 quality prints, email their images to their Facebook page, video messaging and email to other social media platforms. Each option can be set for free or for example, a $1 upcharge. Including a photo booth activity as a part of every birthday party and group event is like having an additional small footprint attraction in your entertainment center that can generate up to 7 times its purchase price. That is pretty good when you consider that a good rule of thumb is that an attraction should generate annual revenue that is equivalent to its purchase price. Buy supplies locally. This will save money on shipping charges. Take the initiative and modify similar replacement products that cost far less. Here are two examples. #1 A few months ago the ballist went bad in our Wheel of Fortune Token Pusher. A new same size replacement ballist at Lowe’s cost $240. I noticed a similar size ballist priced at $30, but the shape was square and it was for LED lights. When I saw that model I thought to myself, with a little modification it can be fitted in to the Wheel of Fortune Pusher. #2 The large monitor went out in Harpoon Lagoon. A new monitor costs $1000. Ramon asked me If I can make an onsite modification to install a regular LG TV. I said sure, send it to me and I will get it done. This saved the Company over $300 and only took me less than 30 minutes. How did I pay for these local parts purchases? I used my own credit card and the company reimburses me. It would be much easier if I had a company credit card of course. I would recommend that the company put a $100 limit on the card to keep us technicians from getting carried away, as there are dozens more modifications I would like to make. Replacing game motors used to be a stressful part of being a technician, not because of the work, but because the motors cost the company so much money. We know that the arm motors on the Knock It Off rotaries (and even older Maga model rotaries) are no longer available from Elaut. We found a suitable replacement from a supplier in China and we sent a few of them out as replacements to some of our locations. So far the retrofits were successful. The mounting holes are in different positions so we provided a stick-on template for the new holes. Both older and new arm motors are rated at a no-load speed of 2 RPM, but in actual application, the new motor runs slightly faster. We remedied that by including a 220-ohm potentiometer in the circuit. That gives our technicians in the field a good range of speed reduction so they can properly adjust the arm swing speed as it relates to hit frequency and ticket payout %. Previously, we temporarily repaired most of the older non-working arm motors by re-tightening the clutch built into the motor gearbox. The newer arm motors have no clutches. I believe we see more arm motor failures now, not only for the obvious reason of them getting old, but also because for the first time, we are using heavy rolled tickets as prizes for our rotary machines and this puts more stress on the arm motors. The price I paid for these Chinese made motors is $12 each. This is a small fraction of what the original Elaut motor cost. Elaut still sells arm motors for their latest versions of Knock It Off 2’s for $200 each. When you send a bad circuit board or part to a manufacturer for repair, you need both a Purchase Order & a Packing Slip. Cross-reference the PO # on the packing slip & vice-versa. Quote #s, backorder info, etc. can be added to the PO in Peachtree so anyone looking at that PO will see this information. This is a biggie for me since I don’t create the PO’s but I do follow up on them, and I do not want to waste my time and other employees time if I have to track down information and ask several people who might have the answers. If you change the quantity of an item column on a PO, the original order quantity number is gone forever. You should add a line in the description field to give the original info so everyone involved will know. For example: the PO is for 3 bulbs and 4 switches, but 2 of the 4 switches are on backorder. The invoice is generated for 3 bulbs and 2 switches, so the PO must now show 3 bulbs & 2 switches. Best practice is to add a note stating that 4 switches were ordered and 2 switches are on backorder. When a manufacturer or distributor sends you an invoice for an advance replacement board or part, the freight charge usually comes to you on a separate invoice. The problem is that this freight bill doesn’t include the part number & description or the correct ship-to address. To make life simple, I handwrite all of this information onto the freight bill so when the two separately received invoices get separated in the Accounts Payable process, which they always seem to do, the info is there and the invoices are not held up while others waste time checking with everyone in the Office to figure which goes with what. An important trail concerns tracking #s used for returning parts to our company or directly to a manufacturer from one of our revenue-share locations. This applies to our technicians & our sales customers, but is more important to the customers who are more likely to send returns without the proper paperwork. Very few customers will send me the tracking #s, although I ask every chance I get, and explain that without proof of return, the replacement cost can be considerable. 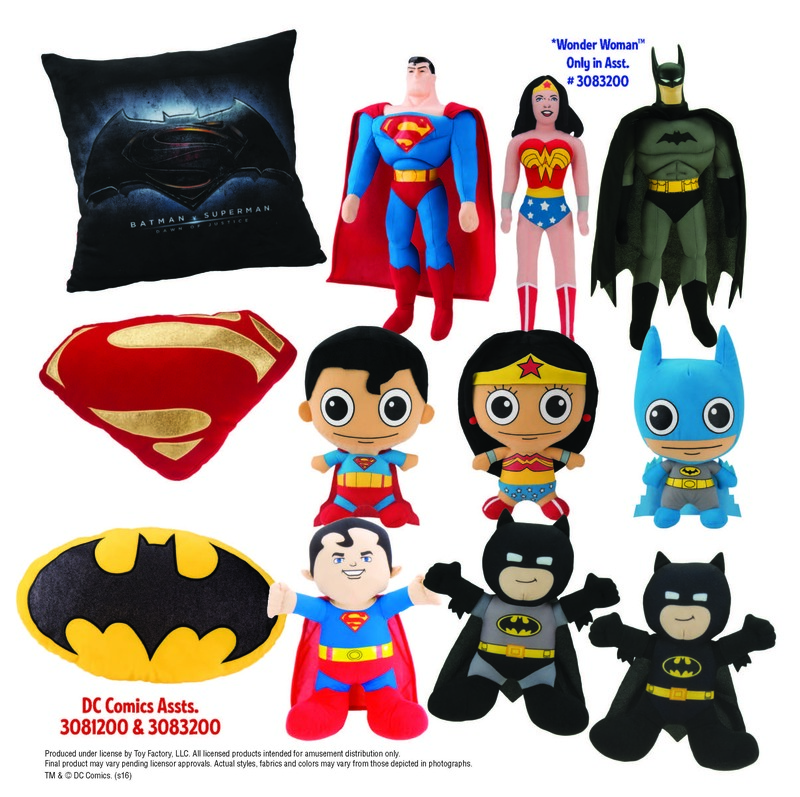 A &A Global is uniquely positioned to offer FECs exclusive items through our successful relationships with licensors, such as Warner Bros. (DC Comics). Their products can heighten a counter’s variety of prizes at each ticket level. The original DC Comics bin toys (ranging from 9¢ to 29¢ each) will not disappoint kids when they approach a counter with a limited amount of tickets. HMS is excited to announce their newly designed and updated website making viewing and shopping easier than ever. Visit hmsmonaco.com to see their complete and updated merchandise line. 1) Licensed Plush and Retail Plush Closeouts – HMS features a full line of retail plush closeouts and licensed plush. Among the present offerings are TY high-end plush including NBA Team Beanie Ballz, Hello Kitty, Winnie the Pooh, and Monsters Inc. Also available are original Pillow Pets at amazing prices, and Ganz plush animals. 2) Other licensed plush include Star Wars, Batman vs Superman plush (opening in theaters 3/25/16), and Major League Baseball. HMS taking advance orders on Nintendo plush characters (Mario, Luigi, and Donkey Kong), as well as Angry Birds The Movie plush. 3) Deadpool, a new superhero action/adventure movie starring Ryan Reynolds, continues to pull in record revenues at the box office. HMS offers a line of licensed Deadpool novelties including buttons, key chains, lanyards, wristbands, zipper pulls, etc. 4) Emoji plush and novelties – The hot-selling line of Emoji merchandise, continues to be very popular with tweens and teens and even adults. HMS is now offering a $.99 Avg. Emoji regular claw crane plush pack and $1.65 Avg. Emoji jumbo plush pack, both included in the free freight program. 5) Electronic items continue to be among the strongest sellers, #1 being the multi-function Smart Watch. Next in line are new headphones, earbuds, and speakers featuring the latest Bluetooth technology that allows for cordless communication. Operators are using these electronic items in their redemption counters as well as in prize dispensing games like Key Masters, Road Trips, Stackers, Winners Cubes, etc. 33775 Hot Wheel 1:64 Star Wars Character Car Asst. Rockem Sockem Batman Vs. Superman 16 in.